Been doing a little play on ACR over the last few days, so thought would kinda take it on as a challenge. Account was empty, it is now $ 4.2$ which will get to in a moment . Plan is to grind some of their 10$ on demands from time to time, and mainly PO freerolls (if I can...see this An interesting Stake Request proposal - open for suggestions/input/feedback etc). Won't be doing any buyins until I have perhaps 20$ just to hopefully prevent from going broke once i do start a little investment grinding, and will probably grind 2nl once i get there. Anyhow so earlier the week I took down a 10$ on demand to bolster 2.5$ into my account and i played in a po freeroll yesterday to gain 0.85$ and another today for another 0.85$....but thats it I'm out of points and its difficult to earn them due to some internet cap which is why I posted up the stake thread above. 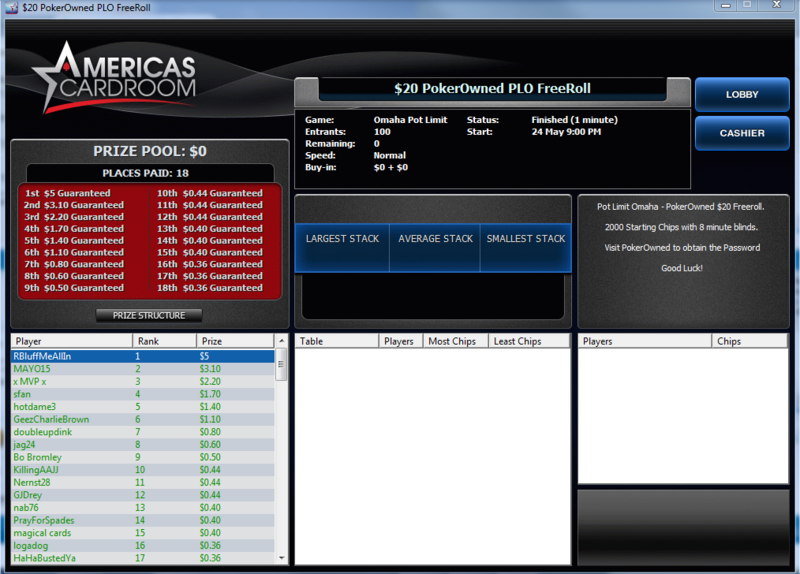 In the meantime will play an on demand here and there and update if I hit any cashes, or if I build enough points myself for another ACR freeroll will do the same. Anyhow just thought it would be something interesting to track. 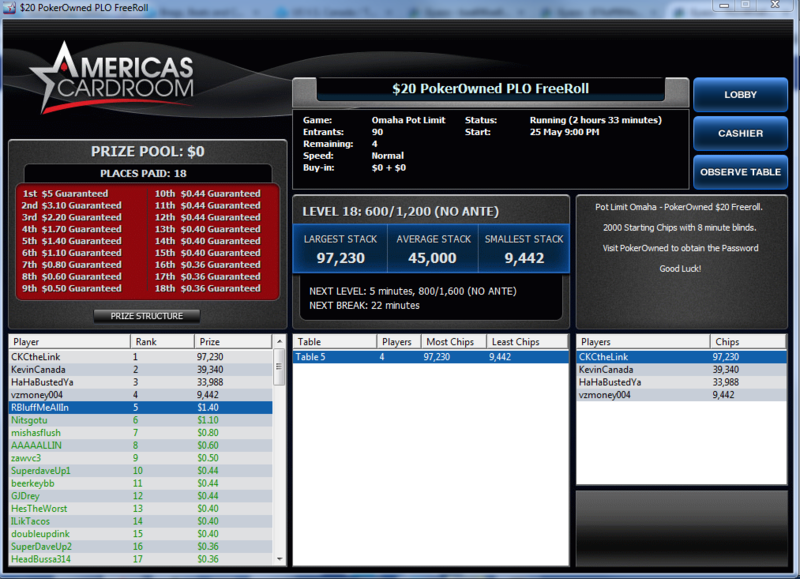 Thanks to some generosity, much love at ya, I was able to play a few more of the PO freerolls today which didn't think I would get to partake in. Played the PLO on ACR, flopped a nut straight with draws to the bigger straight still but went all in to be blahed by a fh on the turn so no cash there. Did get 2nd (think like 3.8$) in the Bovada fr tho, kinda out of place in an ACR grind thread but still thought would include the mention and also sitting 6/11 in the carbon rtr freeroll. 7th in the carbon rtr for 2.5$, shoved KTdd for about 10bb and got called off by JJ in sb, flop a T, turn a T, but lost to a straight on the river so was an exciting hand lol. i been getting a few bux here and there.. been going back with the zeros lol back and forth. @zayzoo...yeah i mean to get small cashes and then look to grind it in real money games to get somewhere you gotta run hot of the get go to get anything going cause on a baby br variance will just eat ya up most of the time before anything gets off the ground. Just gotta keep plugging away on building it up, thus why I figure I'm gonna freeroll to a semi ok baby br of 20$ on acr before i start grinding cash or mixing any small mtt's or anything. I mean br wise I follow a string br on my main grind site where i go 100bi for stt's/mtt-sng's and 200bi for large field mtt's just cause variance can be brutal...i don't play cash much but lately am starting to play more and looking to improve my game there. Figure it might be my best option for such a small br on acr once i get there. 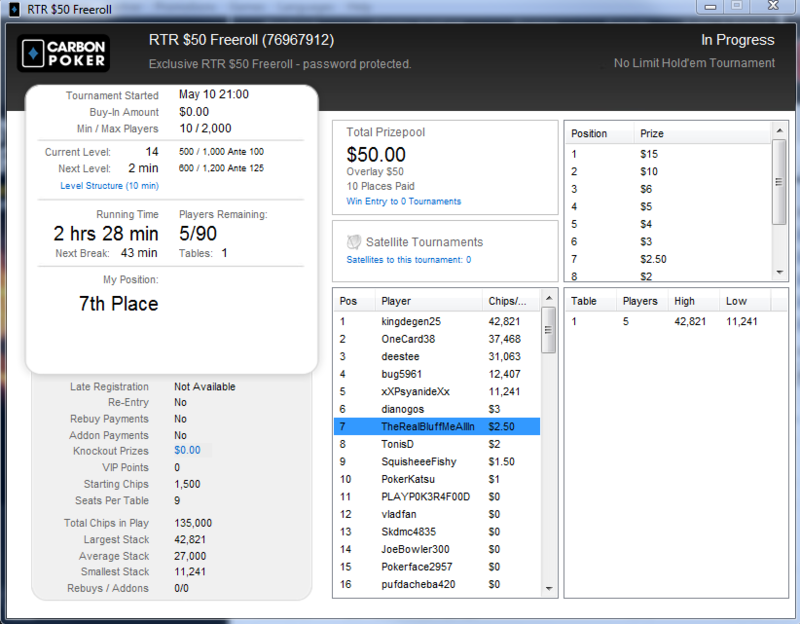 Played the early carbon rtr today but no cash, also played the 5:30pm acr and got 9th for 0.85$ so the roll was 5.05$ on acr at that point. Per OP however, got a backer for my stake request so as of that taking place all acr games for the next 1.5k points (all detailed in a rail thread in staking section if anyone wants to have a look) are for that stake so will be back to here for an update once it is complete to report on any increase of my acr roll from stake winnings after all the splits are said and done. 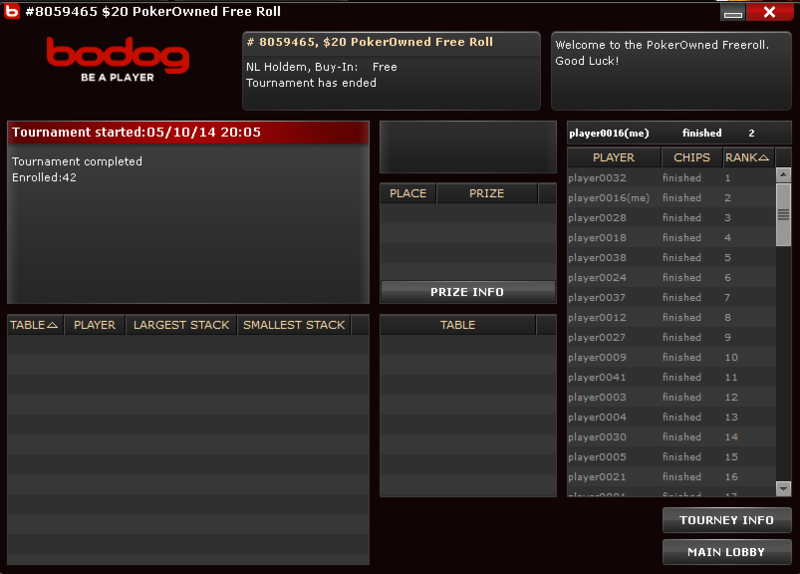 I played two of the freerolls this evening the PLO and late Holdem, got 1st in plo and 2nd in the holdem for another 8.88. ACR BR is now 20.32 so per my OP its open to now grind for real monies and will either be 2nl/2plo or the 25$gtd 55c buyin on demands, and hopefully it will go well given that po freerolls shall be no more on there to rebump it.